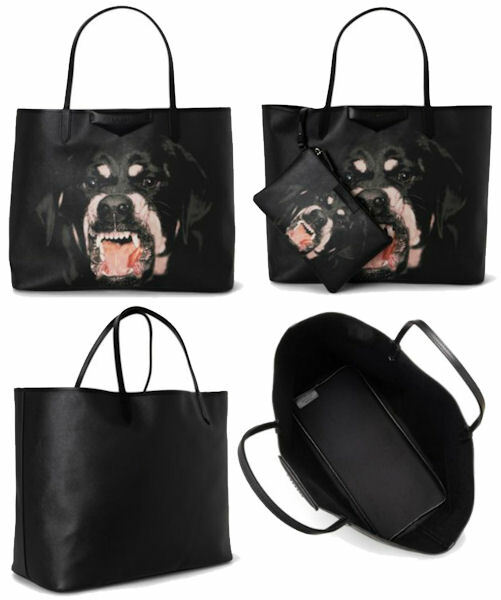 The Givenchy Antigona Rottweiler Tote is a fierce-some black leather bag with a photo of a Rottweiler baring his teeth on the front. It’s definitely not a bag for the faint hearted! 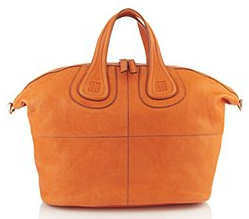 The bag is an open top style which has two fixed leather top handles. The Givenchy logo is on a padded label at the top centre of the bag. The bag comes with an integral zip fastening coin purse and is fully lined in suede. It is presented in a Givenchy dust bag. Measurements: 12.5″ / 32 cm x 15.6″/ 40 cm x 7.4″/ 19cm; handle drop 16cm / 6.3″ (all measurements are approximate). Add a feisty touch to your shopping trips and 9 to 5 with this fierce bag complete with a Rottweiler to watch over you. It’s time to take a walk on the wild side with Givenchy as they demonstrate their urban street credentials. The iconic Givenchy Pandora is available for the new season in grainy red leather with silver coloured metal hardware. 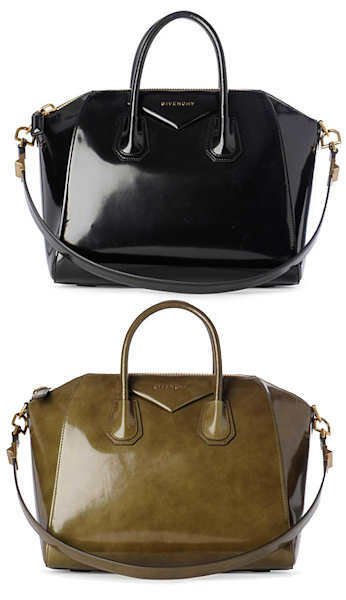 The bag has a single top handle and a detachable shoulder / cross body strap. The inside is spacious and fully lined with two pouch pockets and a zip fastening pocket. It has a zip top fastening. The bag also has two external zip fastening pockets. Measurements: 7.8″ / 20 cm x 13″/ 33 cm x 6.1″/ 15.5cm; handle drop 16cm / 6.3″ (all measurements are approximate). A classic and timeless wardrobe would always benefit from the sophistication and timeless appeal of Givenchy’s Pandora bag, redesigned for the new season in bright red leather – although it is also available in black from Harrods and also in black or tan washed leather from Selfridges. UK based, Harrods offer worldwide delivery, Selfridges deliver to the UK only. 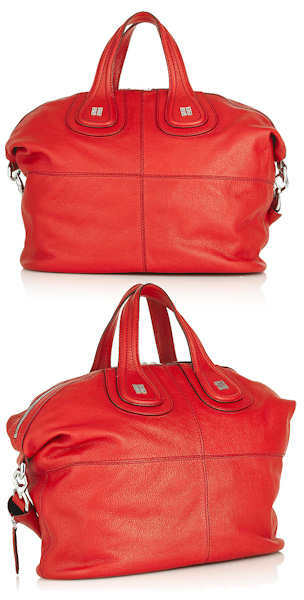 New in at Harrods for the Autumn Winter 2012 season is this gorgeously bright red version of the Givenchy Nightingale Tote. This classic style is reintroduced each season so you can be sure that it will never date – it really is the definition of an “investment purchase”. 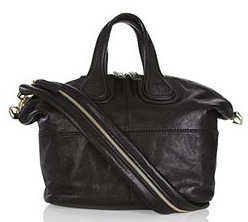 Made from soft, grainy leather, this stylish bag has a top zip fastening, two top handles and a removable shoulder strap. It is also embellished with the iconic four G’s logo. All the metal hardware on the bag is silver coloured. This medium sized Givenchy Nightingale is perfect for completing your look with elegance and style. It can be used daily and will add Givenchy charm to whatever look you care to team it, and attract the most envious of glances – and compliments. Givenchy have an amazing range of their Antigona Cabas Totes and the Antigona Cabas Scuba totes, which are available from Harrods. The flag ship, and most expensive, bag in the range is the Givenchy Antigona Cabas Python Tote, pictured left. 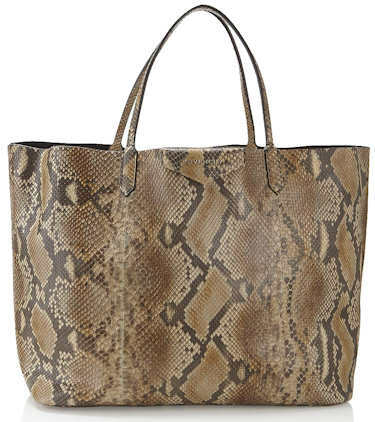 This bag has been luxuriously finished in genuine sand coloured python. It is spacious and comes with a removable zip fastening suede pouch. 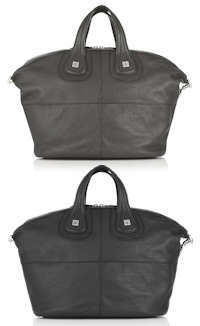 It has double top handles and there is a Givenchy logo plaque on the front centre of the bag. In addition to being available in python, the bag is also available in lots of different colours of leather. The Antigona Cabas Scuba Tote is available in white, sand and neon yellow. The Antigona Cabas Tote is available in black, orange, electric blue and brown. All these versions are leather. There are also printed fabric versions of the bag (not shown), which are made from cotton canvas, available in a variety of vibrant prints including Floral Orchid, Floral Paradise and Monochrome Leopard Print. The bags are all presented with Givenchy dust bag. 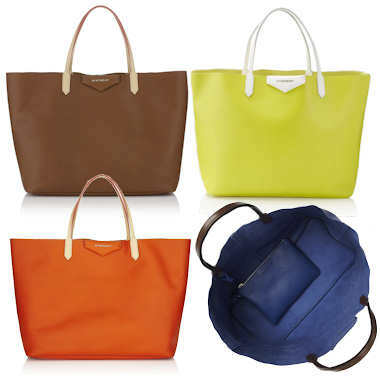 Style note: The Antigona Cabas Tote is a spacious and practical bag which is perfect for shopping, travel or work. It is perfectly big enough to contain all your bits and pieces and is easy to carry and use. The Givenchy Pandora Mini Fur Bag is exclusive to Harrods. This version of the iconic Pandora (so named because it is box shaped) bag is a mini, cross body style and has the addition of luscious rabbit fur to the sides. 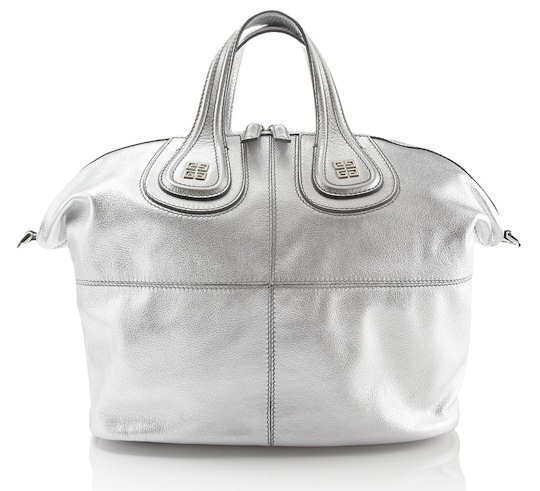 The top of the bag is made from leather and features the signature double zip fastening, with the Givenchy brand name in the centre. The cross body strap is adjustable. Inside, the bag is fully lined and there is a zip fastening pocket. It is delivered with a Givenchy dust bag. Style note: Stylish and chic, this bag is perfect for keeping your belongings close to hand. Both colours will team well with your winter wardrobe and the bag is small enough to make the transition from day to evening wear. 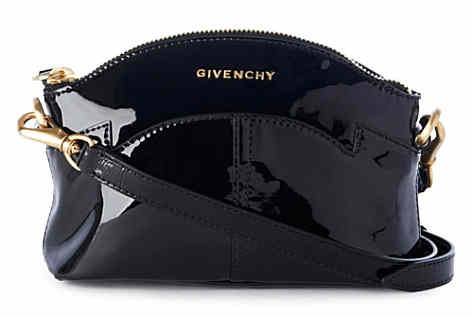 The Givenchy Patent Curve Bag is made from glossy black patent cow hide leather, and features an architecturally curved zip fastening top. The bag has gold coloured hardware throughout, including the Givenchy logo on the front of the bag, and the lobster clasps for attaching and detaching the including shoulder strap. Other features of the bag include exposed stitch detail and a slip pocket on the front of the bag. Inside, the bag is lined in black fabric and there is a zip pocket and a slip pocket. Style note: Add some glossy style to your going out wardrobe with this eye pleasing shiny cross body / shoulder handbag from Givenchy. Ideal for daily use, this handbag would look great teamed with a crisp white blouse, black trousers and ankle boots. Try teaming it with Givenchy’s white statement collar shirt, your favourite black jeans and Givenchy’s Baba ankle boots.